Fun, charming, and convenient, the Sun Trolley and the Riverwalk Water Trolley are two of Fort Lauderdale’s most popular transportation options. Even if you’re a local, you can still live like a tourist. Ride the Sun Trolley Beach and Las Olas Link routes to the best shopping and entertainment Fort Lauderdale has to offer, including The Galleria at Fort Lauderdale and The 17th Street Harbor Shops! Just wave in a safe location anywhere along the routes and we’ll pick you up. TRANSFER POINTS: To transfer to the Downtown Link from the Las Olas Link, hop off at the Historic Stranahan House Museum. To transfer to the Downtown Link from the Beach Link, hop off at Broward Health Medical Center. To transfer to the Galt Link from the Beach Link, hop off at The Galleria at Fort Lauderdale. To transfer to the Beach Link from the Las Olas Link, hop off at either Beach Place or A1A and Vistamar Street. 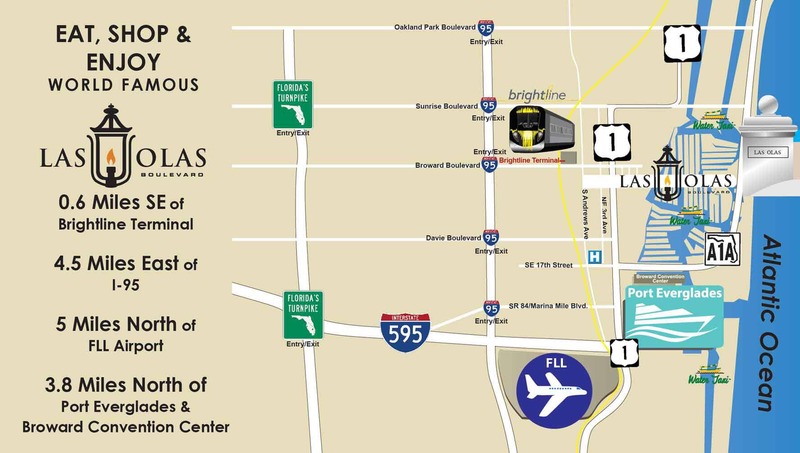 To transfer to the Neighborhood and NW Community Links, hop off at the Broward County Transit Central Terminal. Whether you’re in downtown Fort Lauderdale for work or play, the Sun Trolley is a convenient choice to get around. Our trolleys reach all over Fort Lauderdale, providing access to world-class shopping, sparkling beaches, and endless options for entertainment. The Sun Trolleys are environmentally-friendly bio-diesel vehicles that offer air-conditioned comfort and cool tunes. The trolleys are wheelchair accessible and have convenient bicycle carriers to stow your bike during your trip. Getting around town was never so fun or affordable! The Sun Trolley is administered by the Downtown Fort Lauderdale Transportation Management Association (DFLTMA), which is a 501(C) 3 non-profit organization that has been serving Fort Lauderdale with community transportation since 1992.